My friends all know that I can be a bit of a neat freak, organised, task oriented kind of person, so when I saw the title of Chapter 4 of Divine Renovation, I must admit I couldn’t wait to read it. “Cleaning out the junk” has my name written all over it. On weekends, my husband and I will often watch TV (ok so we may or may not be known for binge watching Netflix). But even as we binge watch TV, I can’t just sit there. I have to bring a drawer out of the bathroom and start clearing out the junk or be folding washing or dusting our living area. There is a sense of accomplishment, a sense of clearing out the unnecessary, starting again. I loved this chapter because for me it felt like spring cleaning the Church I love. Time and time again, Fr Mallon uncovers problems within our Church and names them – not in a way that puts down the Church, but rather in a hope-filled way that names a problem so that we can start to deal with it. Fr Mallon doesn’t call them problems, but rather temptations and draws pretty heavily on Pope Francis’ teachings. These temptations include things such as sociological reductionism, psychologising, Gnosticism, Pelagianism, Jansenism, clericalism, functionalism or even (get this) “self-absorbed promethean neopelagianism”. Ok so I realise that if you haven’t studied theology (formally or informally), these may be foreign concepts to you, but Fr Mallon does a wonderful job of explaining them. There’s nothing like a good spring cleaning… for our house, for our minds or for our Church. 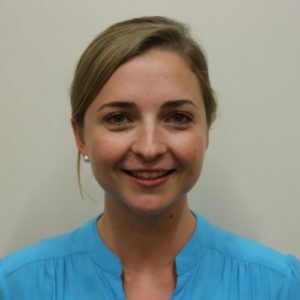 Teresa McGrath is the Youth Project Consultant for the Archdiocese of Brisbane, and heads up the Youth Evangelisation Office.